He is the father of two wonderful kids Annamarie, Adrian and , been his beautiful wife of 25 years Marta. Alberto Willecke has­­­ over 31 years of leadership, management, operations and recruitment skills. He served in the United States Army from 1984 till 1991. 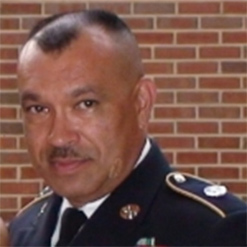 He served in the National Guard from 1991 until 2016. Prior to retirement he as Acting Command Sergeant Major, Brigade Operations Sergeant Major and First Sergeant. His combat deployments include Operation Desert Shield, Desert Storm, Operation Iraqi Freedom and Operation Enduring Freedom. His Overseas Training Deployments include Operation Yama Sakura, Natural Fire, Keris Strike and Eager Light. His awards include the Legion of Merit, Meritorious Service Medal, Army Commendation Medal, and Army Achievement Medal w/4 Bronze Oak Leafs among many others.